Made out of new socks stuffed with fiber fill and they have embroidered faces. They are machine washable and dry quickly. 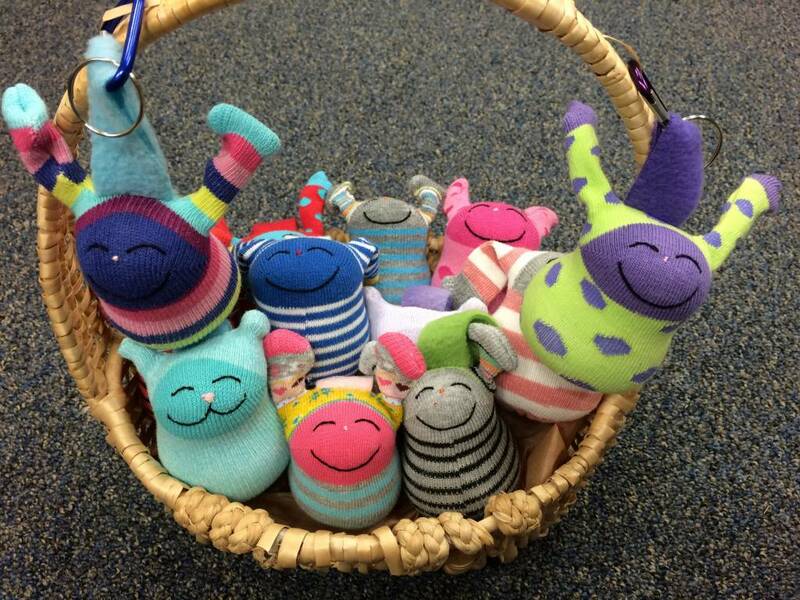 These little guys are made from baby socks and fun to hang off a backpack or to use as a keychain and measure about 2 to 3 inches. They include a mini carabiner key chain Machine washable.